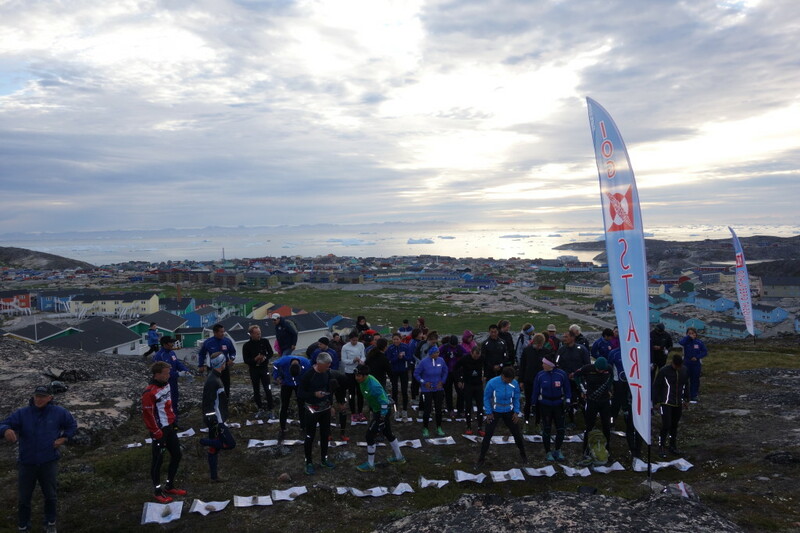 Every year in Greenland around the end of June, the Ilulissat Orienteering Club (IOG) holds the Arctic Midnight Orienteering Competition, which comprises a short, middle and ultra long race. I travelled this year via Copenhagen and Kangalussat to this extraordinary destination to see what it was all about – and I wasn’t disappointed. 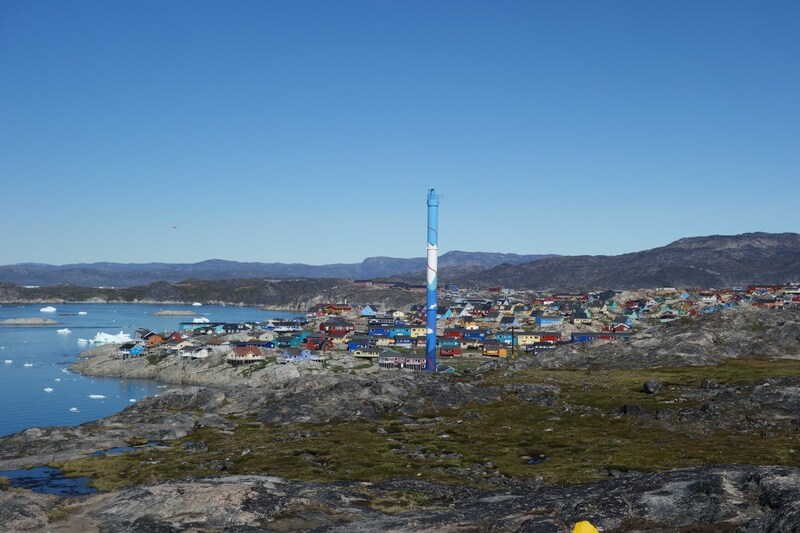 Ilulissat is a small, isolated town with a population of about 4500 on Greenland’s western coast 200 km north of the Arctic Circle and just shy of 70° latitude. The main industries appear to be fishing and tourism. 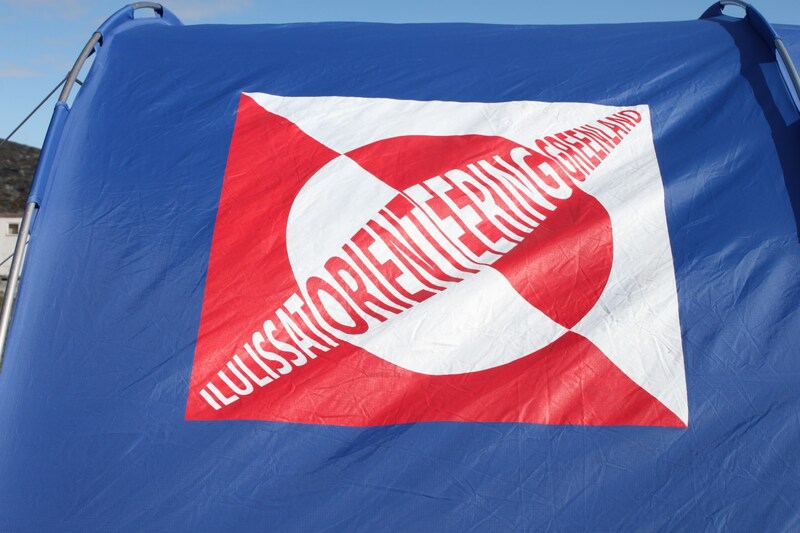 IOG has at least 100 members and a great club spirit, and is fully equipped with SI, club flags, banners, tents, a clubhouse and club tracksuits. The town and terrain for several kilometres east of the coast is excellently mapped to IOF standards. As a result, the competitions were excellently run and of a high standard despite the relatively low number of participants. The sprint competition started at 1900 in brilliant sunshine thanks to the endless daylight. The often complex course wound its way through the many brightly coloured buildings and rocky slopes, up and down long stairways, and between out of bounds husky dog tethering areas. 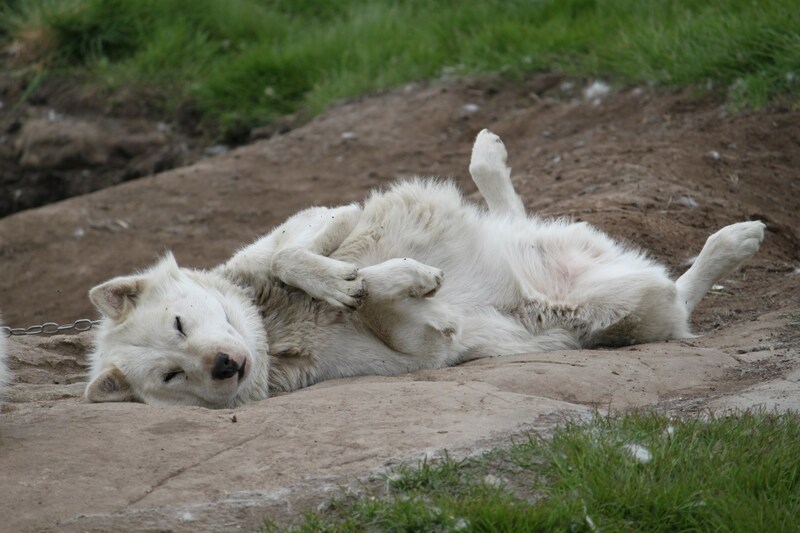 Ilulissat is home to over 1500 working husky dogs although they were enjoying their summer-long siesta while I was there. The middle race took place on fantastic terrain comprising complex contour detail, bare rocky knobs, small lakes, mossy rock ledges and amazing views of massive icebergs, which definitely compromised one’s concentration. Although entirely treeless, the terrain provided a great orienteering challenge in a truly spectacular environment. The ultra-long race was the highlight of the competition. Forty-four runners spread over four courses from 5-20 km mass started at 2300. I decided to get my money’s worth and went for the 20 km option. 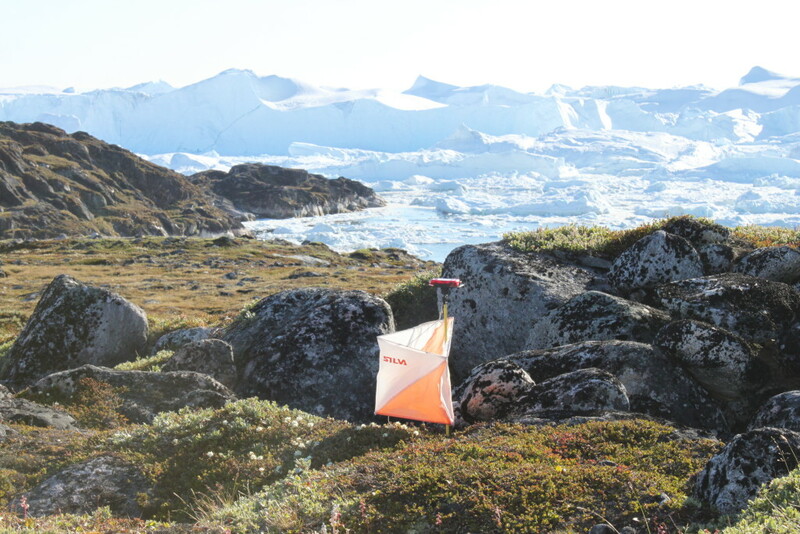 The course took me out into the Greenland wilds for one of the most incredible orienteering experiences I have ever had. For just over four hours I worked my way across large steep slopes; broad open, lake filled valleys; narrow gullies; multiple cliff-lined terraces; bubbling streams; open rock slabs and complex contoured plateaux. The ground cover was generally soft and spongy between the rocky outcrops and this, along with approximately 1000 m of climb, quite effectively sucked the life out of my legs. The last hour or so was taken at a very slow pace but the ever-present views of icebergs glowing white in the bright sunshine helped the time and the course pass. The following evening the IOG held a celebration BYO dinner in their clubhouse. The splendid buffet table included roasted reindeer, raw whale, shrimp and salmon platters, a range of salads, rice and potatoes, and an excellent desert menu. Competition prizes were presented and all seven or so international runners received a special prize. The local Ilulissat hosts were very welcoming and the evening was most enjoyable. As an additional excursion, I took an 80 km boat ride north through an iceberg field to the Eqip Sermia glacier and had an overnight stay at Glacier Lodge Eqi. This is one of the most stunning places I have ever been to. 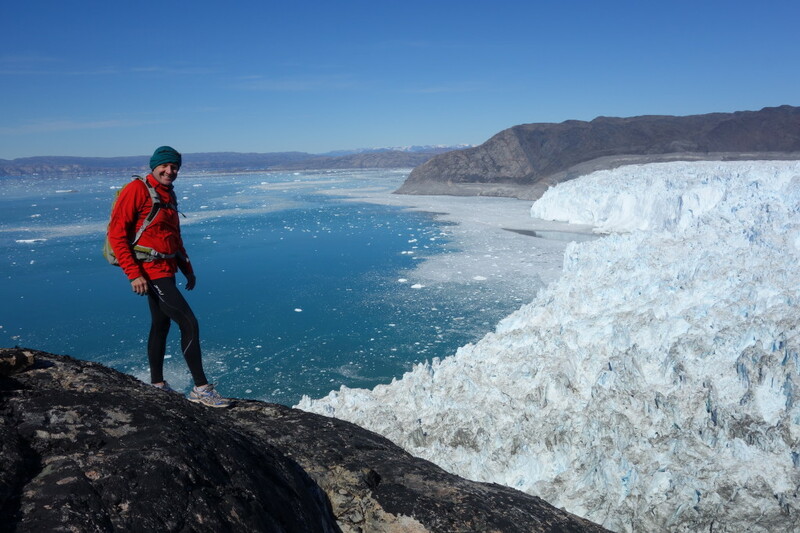 Where else can one watch a glacier calving into the ocean and jog to the polar ice cap? This is just a brief account of my amazing adventure in Greenland and one that I highly recommend. Check out the following links for more information.